After becoming the first coach to successfully defend the Champions League title, Real Madrid boss Zinedine Zidane played down talk that he is the best in the world. Zidane, instead, was quick to turn the attention onto his players, many of whom have won three of the last four Champions Leagues. 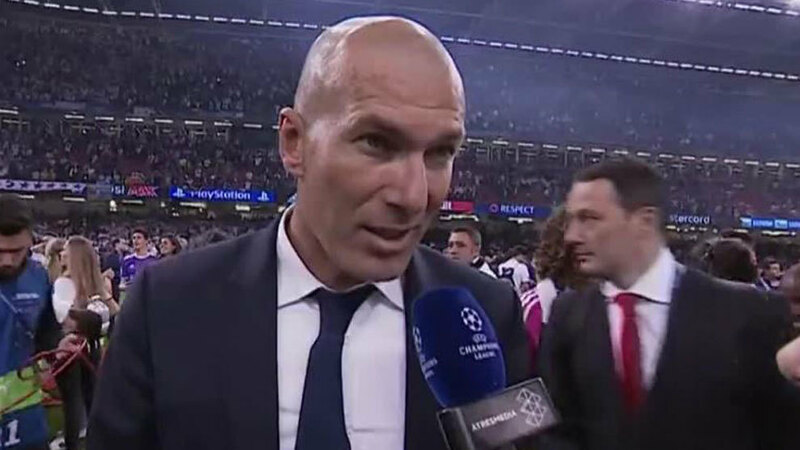 “It has been a great year,” Zidane told Antena 3 on the field after the final whistle. “We have to congratulate all the players and this great club. Calm as ever on the surface, Zidane was keen to explain his hidden delight. When asked if he was the best coach in the world, Zidane played down the talk before departing the scene. “No, no, I am not that,” he replied, modestly. In the last 512 days, Zidane has guided Los Blancos to two Champions Leagues, one La Liga title, one UEFA Super Cup and one Club World Cup.